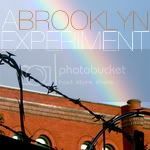 A BROOKLYN EXPERIMENT: Phishin' for the Weekend! Three day weekends are absolutely priceless, and this past Memorial Day was nothing less! I was lucky enough to spend my time camping out near Bethel Woods with Phish tickets in hand. I had the best view side by side with the best company! If you have a chance to see a show here, please don't miss it! The venue is beyond beautiful. The fields go for miles, and there are even lawn chairs to rent (I promise, you will not regret it). Check out the link above to see their schedule!